I cook I write and I love to decorate. 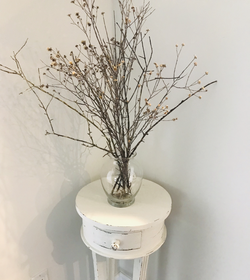 My space is all about the things that make me happy I love the old look and the farmhouse feel .Welcome to this section of my Website . Here are my new chairs for my old farm table that I just painted over the weekend. The table came from a 1930 farmhouse. As for the back porch their is a lot more to do there and I can’t wait to share the final results. A comfortable place to just relax my master bath is like a spa and we love it ! I love my fireplace and even though I live in a warm climate I am still lucky enough to have cold weather days to enjoy a fire in the winter. This copper Bucket I found at a flea market. It was a great find . I love junking that's what I call it. I love flea markets and second hand shops . We built this home last year and some of the stuff we wanted to do ourselves. My husband is very handy thankfully and so he has been doing all of the stone work on house..
.The front is done the sides and back are next..
We have many projects that we want l get done in the coming months and I will share them here . Christmas time is my favorite time of the year . This is our second Christmas in our new home and that’s Hard to believe. where did the time go..
We are finishing the stone work on the house and moving on to more shiplap..
We have so many things we are doing to our new home and I can’t wait to do it all. But for the holidays the house looks as pretty as a picture. And I love Christmas trees so much I have seven . Wow that was a fast three months from October to December! It always seems to fly by but it was an enjoyable Christmas . I started to take down some of the small stuff and trees like the week before New Years, I’m glad I did.. I had six tress in total but I saved my big tree for the day after New Years . I don’t know about you but the house feels naked I almost felt like I needed to run out and buy stuff then I realized the space will feel normal soon enough . Wishing you all a Happy New Year! I have so many projects in the works and I can’t wait to share them . The winter season can be tough to deal with but there are ways to bring some comfort into your home during the cold dreary days when Christmas is over.. I found that bringing the outside in and decorating for winter helps . I got my ideas from social media and I’m loving it my home feels comfy and cozy. All I did was go in my own yard and grab branches, pine cones white vases and made some arrangements it looks and feels great. I kept my twinkle lights and wrapped them on two topiaries that I have on my fireplace . I love the twinkle lights I think they will be up all year long . These warm touches make winter more tolerable! So lighten things up add a little greenery a few things from outside and enjoy winter ! I am so excited about the entryway to my home it looks amazing! .My husband did an amazing job creating this beautiful space that’s so inviting to our home ..
​Thats all I’m going to say other than I love it !! we spent a good amount of time this weekend at target . I love that store who doesn’t ! Aside from shopping for the stuff I needed for my foyer entryway as we were leaving my husband spotted a rug for the kitchen. I had to have it .. I looks great too ! We we’re looking for a runner but wound up getting that at Lowe’s . Either way I enjoyed my weekend at my favorite stores. I would say it was a productive weekend filled with shopping dinner laughs and Starbucks! January is living up to its name as a cold month even for us in the Deep South . So why not take advantage of the moment and enjoy the fire place I really enjoy the seasons but I really don’t like the cold but who does . So I like most just make the best of it . Knowing spring will be here soon . I had a pretty gold mirror in the hallway it could be seen from the main area of the house . But it just didn’t fit it. I won’t take total credit for this idea, although I was going to paint it I just wasn’t sure what to do I thought about a silver and maybe aging it from there . so as it turned out it became a three step process of just adding three colors using gold , silver , and a touch of black over the top of the mirror giving it a beautiful finished look . I can honestly say I am very happy how it turned out! And it makes a statement now in my house. . Like look at me !! I get so many messages about where I like to shop for my home . So below I will list all the places I like to shop . Hopefully this will help you find what your looking for ! ​Just to name a few !! I love painting furniture I really do !! So this past weekend I painted a table that sits in the laundry room . I have been wanting to paint this table for a long time but I just never got to it. I painted it white and gave it an old look . 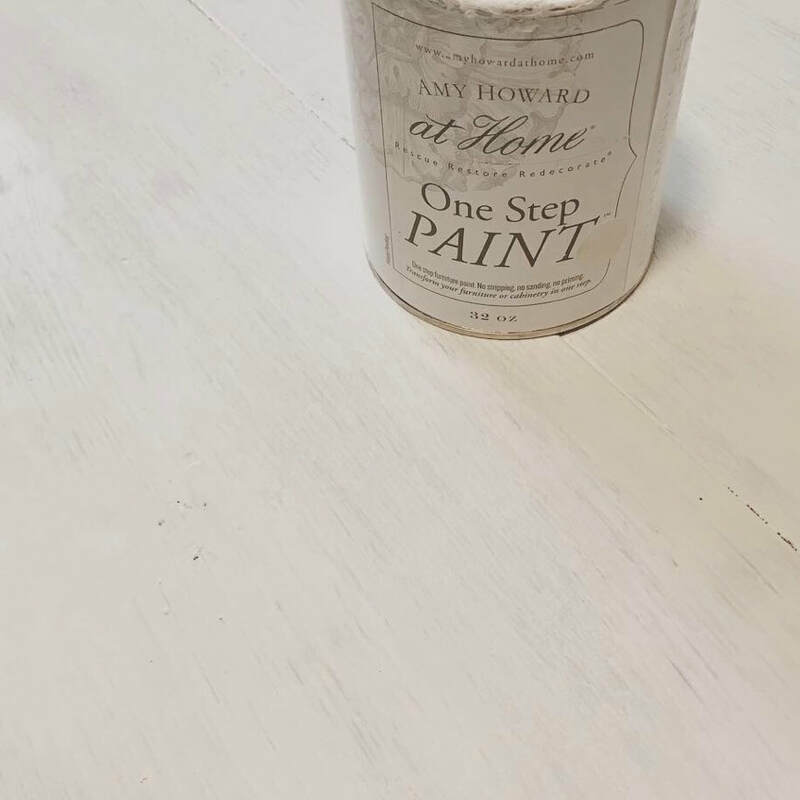 I used chalk paint by Amy Howard it’s great stuff..
Not only can you paint over anything but the dry time is fast . This table was painted and done in one day . Great product!! So many colors to chose from . There is nothing better than a good nights rest . But I also feel that a master bedroom should not be a busy place or a dark space . I enjoy the light bright open and airy colors year round. I feel that colors impact the way you sleep and relax. I would never paint a wall red in my bedroom because it’s a strong color of fight or flight . Red is a pretty color but not one that I would recommend for a blissful night sleep. I love the pale colors I’ve chosen for my room and I am still searching for that perfect white spread . Not Eveyone’s taste is the same this is true . But when creating the place of rest take colors into consideration. In honor of Valentine’s Day  I noticed last night as I took this picture that the vintage soda chair adorned a perfect heart. Finally the back porch is done and it’s beautiful !! We are putting in a black celling fan to keep us cool in the summer. We use our outdoor space a lot so it’s a great place to spend spring and summer nights. The floor was painted yesterday this whole diy was a long process but so worth it . The next project is the outdoor gazebo can’t wait to do that . ​It will have an outdoor fireplace and the bbq grill will be built in to a outdoor kitchen . My office is an important part of my home for many reasons. First of all this is where I write my books and take time for me . But ever since moving into our home almost 2 yrs ago it has been a mess and it looked nothing like an office at all . I had two major back surgeries in 2018 like my whole year was shot my life became one big a blip on the radar. I was bedridden literally and was unable to do anything. So my office wasn’t that important to me and my life was on hold and so was everything else. All I wanted to do was make this space work for me. After much thought regarding my office space on Saturday morning I got up and decided to get it done . With help from my husband furniture was moved and placed it felt great to see it come together. ​I put all my things where I wanted them and by the end of the day I had what I needed and wanted . And after waiting almost two years my office came together. ​I could not be happier with the results just a few more things to do . With spring near I am getting my outdoor space all ready . We just love this area of our home it connects to the house through French doors. And it flows from the kitchen . Over the weekend I went to Target and found this beautiful rug by opalhouse it goes perfect with our white vintage farm table . We are looking forward to spending time in this space during the spring and summer . Our home is just not a home no matter what without our pets . We are empty nesters both girls are grown and married so Oliver and Sophie our are babies . Before we moved into this home we lost our cat Bentley. I truly did not think we would ever be the same . But then Oliver came into our lives . My husband is so loving to these two little creatures he cares for them and attends to their needs. Feeding them playing with them and talking to them . ​I swear they act human . Anyways I just wanted to share the best part of our home . Sophie and Oliver !! 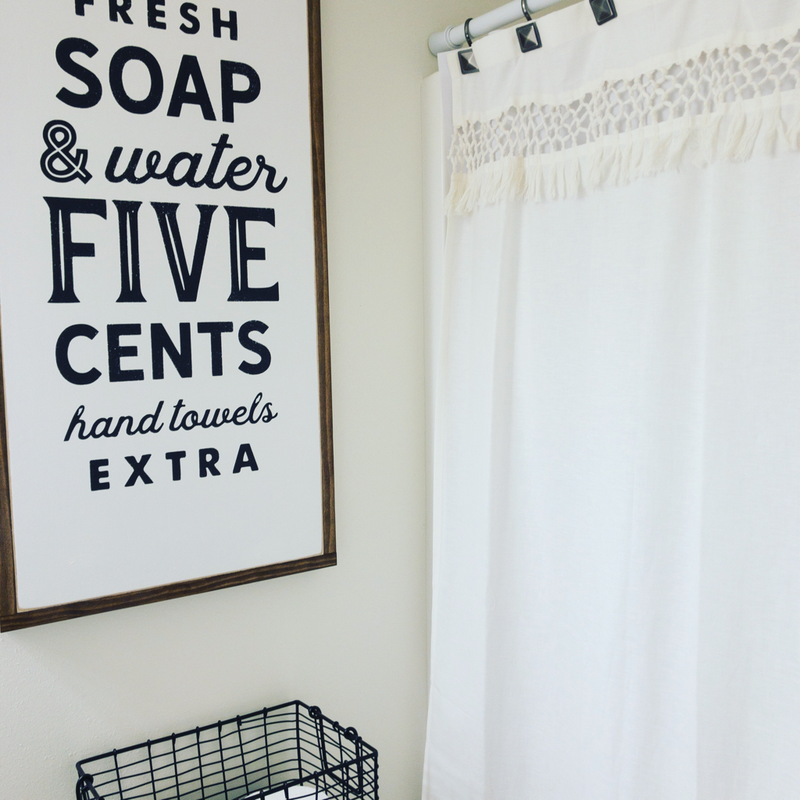 My guest bathroom is a labor of love literally speaking. I want my guest to feel comfortable in my home while they are here . I want the guest bathroom to be just as inviting as the rest of my home . With fresh towels and soap that I always place out for those who stay the night you would think they were staying at a Bed&breakfast . I put a lot of thought and detail into each of my rooms . I love the old and new throughout my home and that feeling of welcome when you come for a visit .